Of the 7 species of swans in the world, only 2 are black. Even black swans still have white flight feathers that are completely hidden unless the bird is flying. 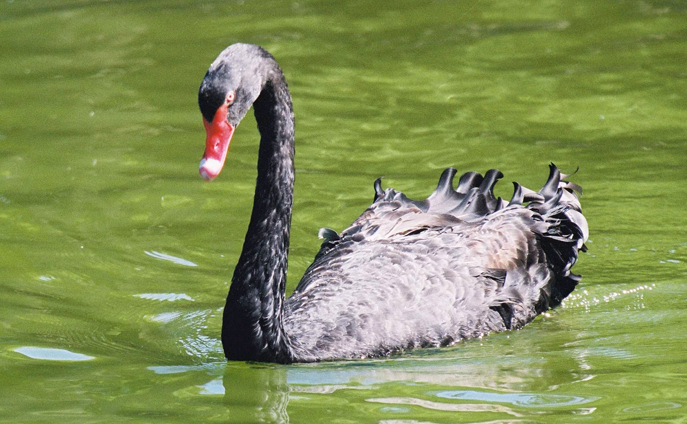 Black swans are hatched with grey down, and get their beautiful black feathers when they are 2 years old. Swans have over 20 vertebrae making their necks very flexible. In comparison, giraffes have 7 vertebrae.